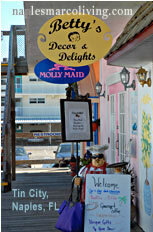 The Ted Smallwood Store is a historic store in Chokoloskee, Florida. It is located at SR 29 in Everglades National Park. On July 24, 1974, it was added to the U.S. National Register of Historic Places Explore the links below. To feature your Naples, Everglades, south Florida Attraction, contact us. Journey back over 10,000 years of Southwest Florida’s unique past. U.S. 41 East at Goodlette Rd. 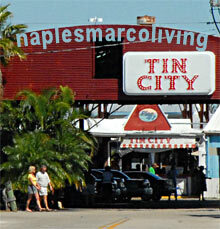 Naples original shopping destination. Dockside dining. A 2-mile boardwalk meanders through the largest forest of Bald Cypress in North America. Southwest Florida’s only full-scale art museum, featuring 15 galleries. Visit the Environmental Learning Center to see manatee and other Florida fish and wildlife. This 52-acre botanical garden was founded in 1919. Includes animals such as zebras, apes, and large felines. See a presentation or take a boat cruise through islands of monkeys.